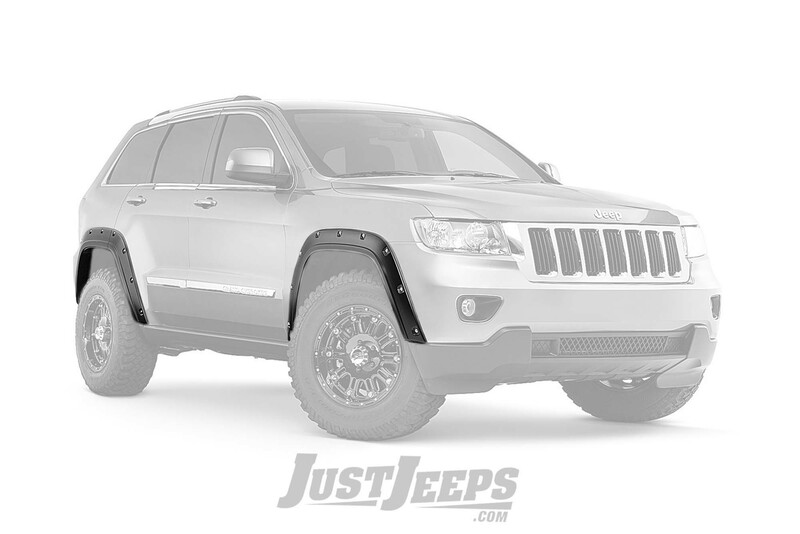 Just Jeeps Bushwacker Pocket Style Fender Flare Kit For 2011+ Jeep Grand Cherokee WK2 Models | Jeep Parts Store in Toronto, Canada. Adding style, protection and extra tire coverage to your Jeep has never been easier. Bushwacker offers a wide selection of fender flare styles, each designed for a specific look. Transform your vehicle in minutes, it's never been easier!